There are a lot of awesome nail polish brands out there – some big and some small, but no matter the size, equally as awesome. Mint is an LA-based company with beautiful bottles and smart shades that apply as easily as they look on the eyes. As a self-proclaimed lover of pretty things that function as decor in addition to their original use (case and point – Louboutin’s nail polish), I fell head-over-heels the first time I found this brand and their perfume-inspired bottles on Instagram. It only got better when I learned their polishes are 5-Free and brewed & bottled in sunny Southern California! Now that we’ve seen the beauty of the bottle, let’s get down to the nitty gritty. The formula and brush are honestly equally as wonderful as the bottle’s design. I love the long brush and “stem,” if you will, because it allows for fantastic control while painting. The colors look great with one coat if you’re in a rush out the door, and the second coat leveled beautifully for fully opaque coverage. 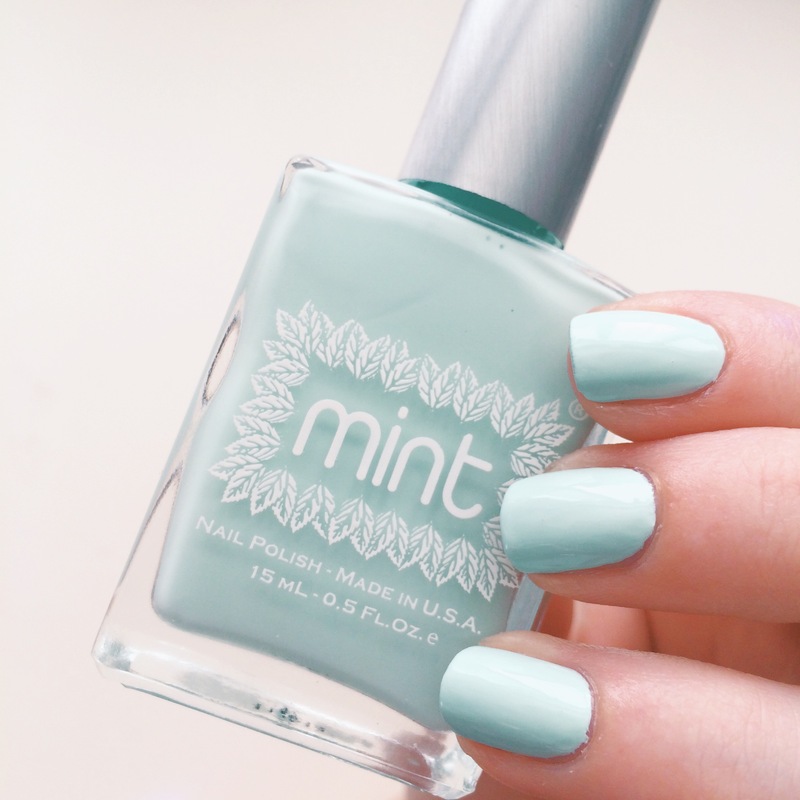 Out of Mint’s new collection, this color was the one I HAD to have. It came out just after Pantone announced Marsala as their 2015 Color of the Year, and the second I saw Moonlit Stroll, I knew that was the perfect way to wear that trend. 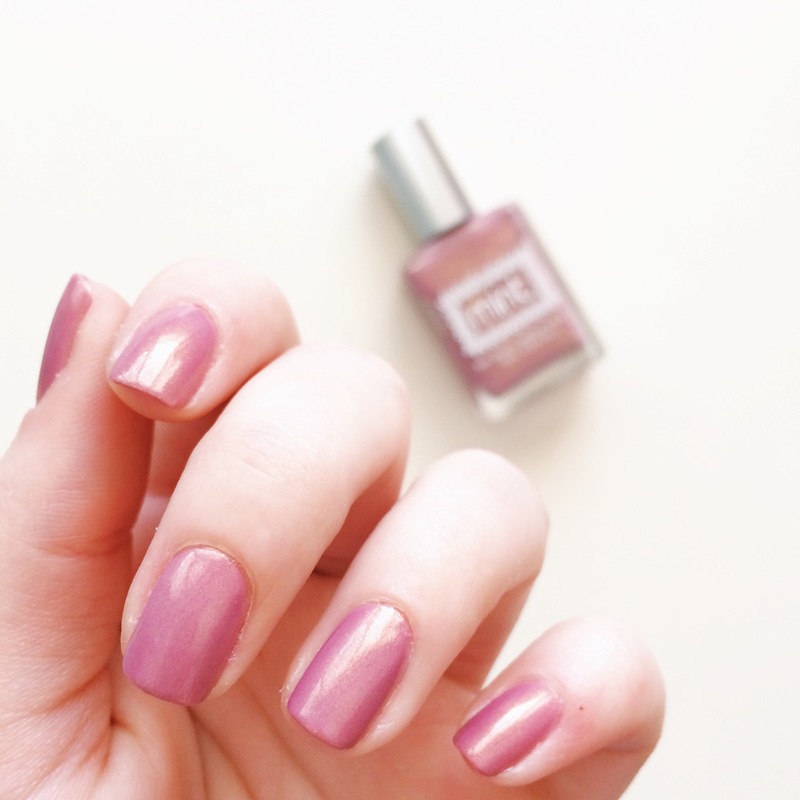 It’s definitely not your mother’s mauve, with a wonderful gold shimmer built into the rich pearlescent shade. It applied opaque in two coats, and looks like a dream! What came first, the polish or the name? Because they reflect each other to perfection! Talk about a barely-there grey cream that is the essence of classy. 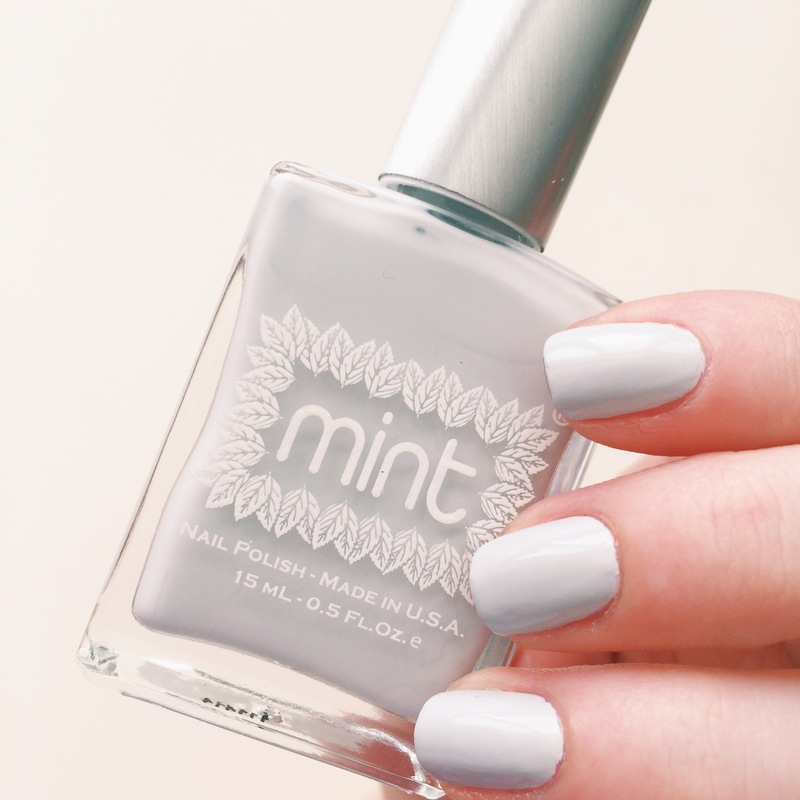 It’s hard to find good grey polishes, and there’s no doubt in my mind that Fancy will be the bottle I grab next time I’m looking to freshen up an elegant look! 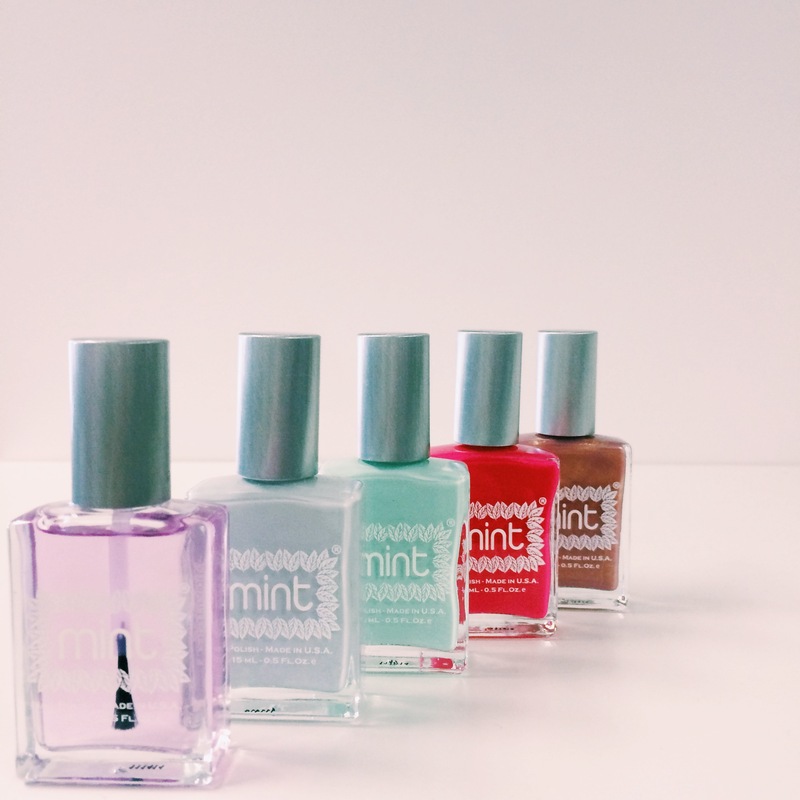 Ok, let’s talk mint nail polishes. Some people think they’re overdone, but I adore ’em! 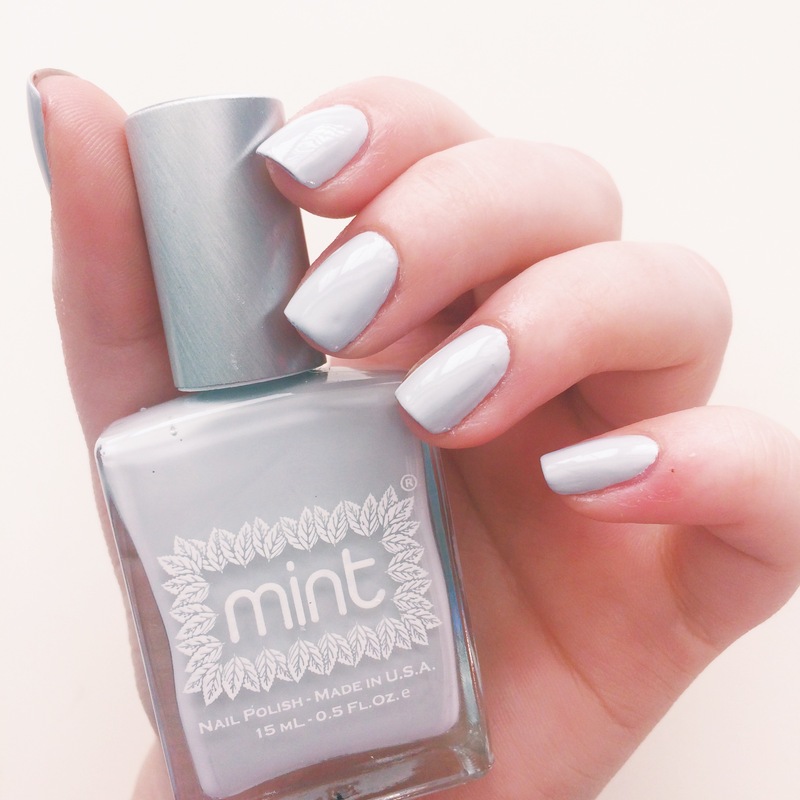 I featured Mint’s namesake, Original Mint, in my gift guide this past holiday season, and Ice Cube is the perfect subdued version of that! It’s soft, feminine and classic, yet filled with personality! 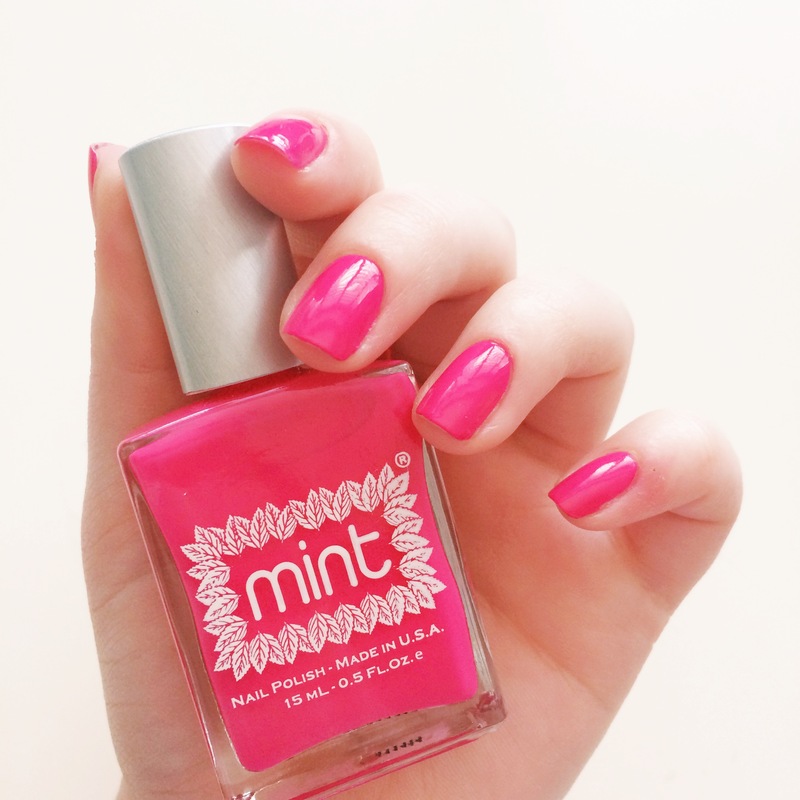 I think the description on Mint’s website says it all – Girls just wanna have fun, and wear Barbie Pink on their toes! It’s totally the truth! If you’re looking for fun and flashy, Slumber Party is everything. Rich and opaque in one coat, brightening up a look for spring or summer has never been this easy! Have you tried Mint before? 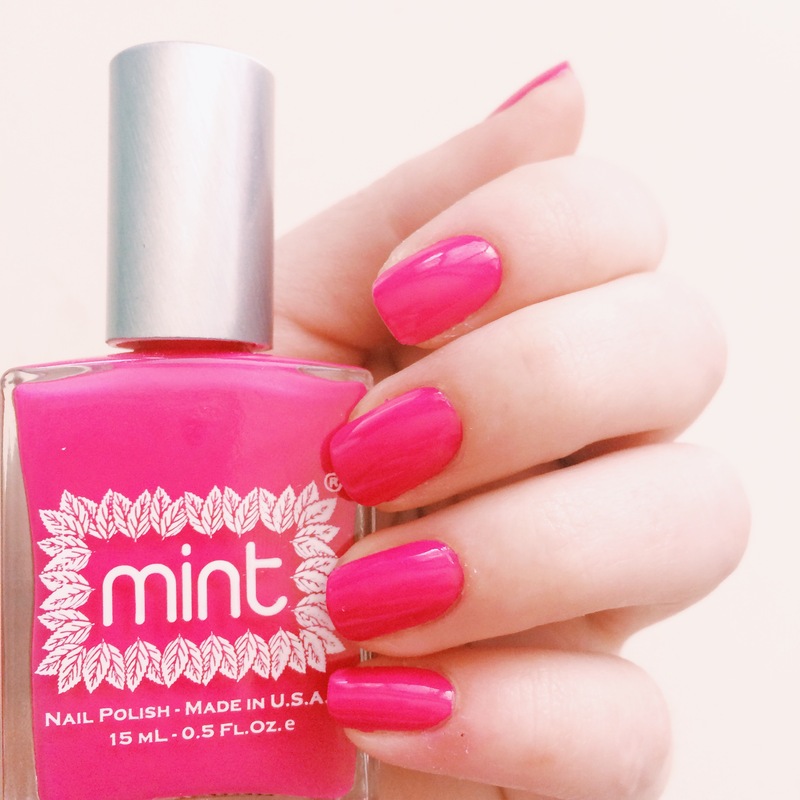 If not, and you’re looking to support a wonderful LA company, try their polishes out! Happy Reading!